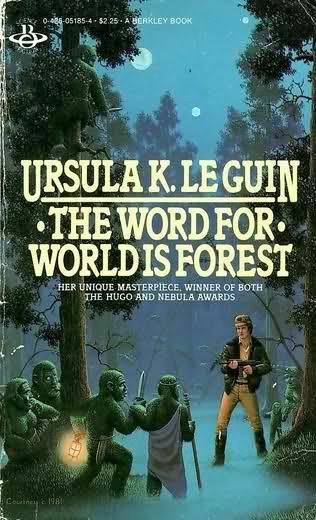 One of the books that I picked up over the holidays as Ursula K. Le Guin's The Word for World is Forest, which I've been reading in drips and drabs this month. It's a really stunning work of fiction, and it's a book that feels all the more relevant with what the Trump administration is shaping up for when it comes to policy, particularly around environmental areas. Go read Art is Action: Le Guin’s The Word for World is Forest over on Kirkus Reviews. Harlan Ellison, Again, Dangerous Visions. I have all three of these anthologies, and Le Guin has a short afterword to the story in my edition. Ursula K. Le Guin, The Language of the Night. This is a collection of essays from Le Guin, and it includes her forward to the novella. Larry McCaffrey, Across the Wounded Galaxies. Collection of interviews with authors, including Le Guin. Frank Magill, Survey of Science Fiction vol 5. This collection of critical essays is pretty essential. There's a review of this story in it by Gary K. Wolfe.